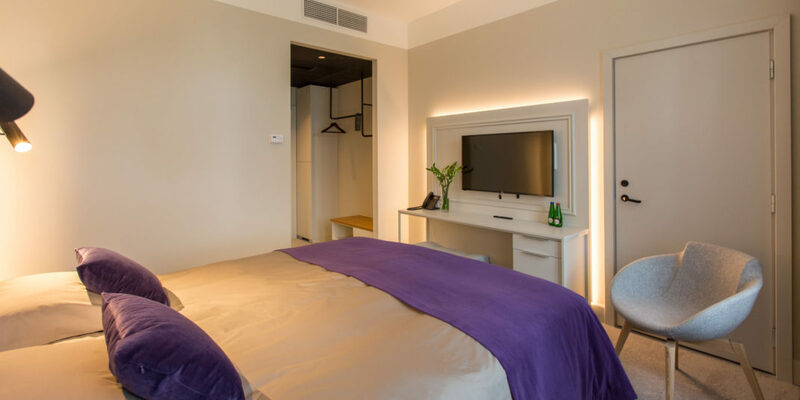 Park Hotel Viljandi is located in the centre of the Old Town of Viljandi and connects three beautiful parks. The hotel has 37 rooms along with family rooms and a room for the disabled. The modern furnished rooms offer amazing views either to Old Town’s parks and squares or to the glass-roofed atrium inside the hotel. The accommodation price includes delicious and abundant breakfast buffee. Check in starting at 14:00, check out at 12:00. Park Hotel Viljandi is the perfect residence for the guest who appreciates comfort, quality and superb location. 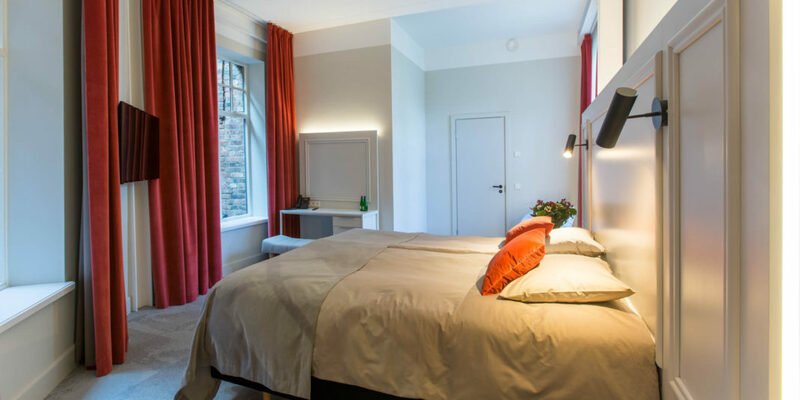 These cosy rooms feature a lovely view to the Town Hall Square and a comfortable 140 cm bed that can also fit two, if needed. These tasteful rooms offer a special view to the hotel’s bright glass-roofed atrium and some of the rooms also have additional roof windows. 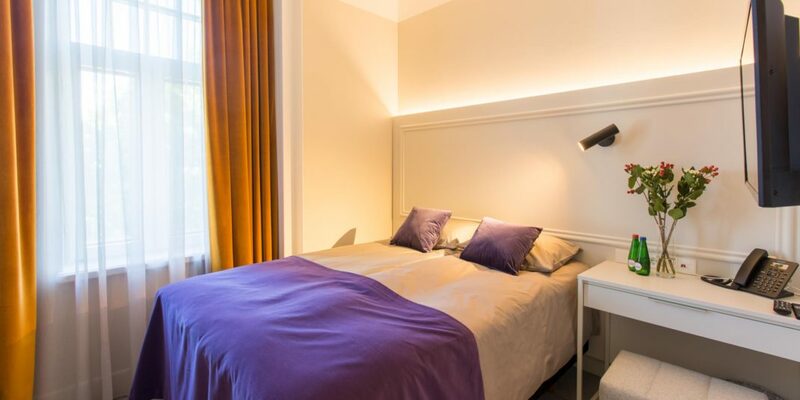 The spacious rooms are equipped with a double bed or twin beds. 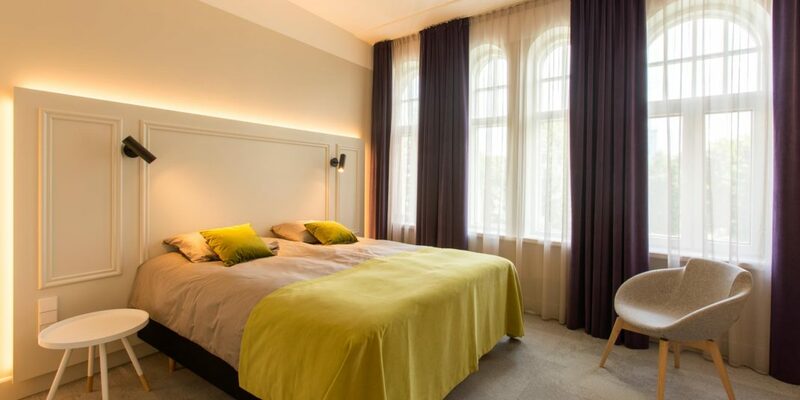 These charming rooms, equipped with a double bed or twin beds, have windows overlooking the Town Hall Square or Köler Park. 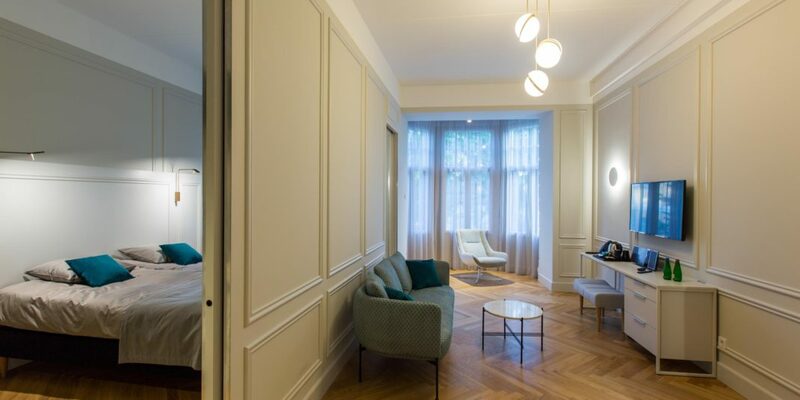 Our elegant suites are located on the second and third floor, with the windows opening to the beautiful Johan Laidoner Square and Viljandi Old Water Tower. All rooms feature a separate sitting area with soft furniture and a comfortable bedroom with large double motorbed.